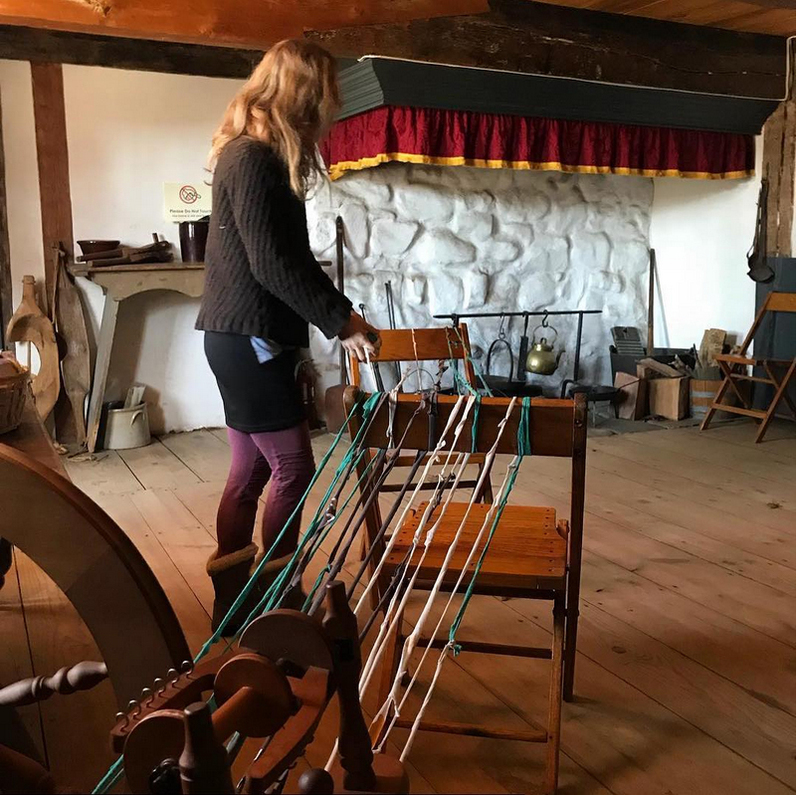 As one of the third Saturdays at Wyckoff House Museum, free, walk-in art, farming and cultural events for families, I led a weaving workshop, transforming Wyckoff furniture, including a decommissioned spinning wheel, into a makeshift loom. I taught children the “under over” pattern. Together, we wove one communal fabric. Yarns were cut by hand from recycled t-shirts; some participants and volunteers from Stuyvesant High School helped make yarn.